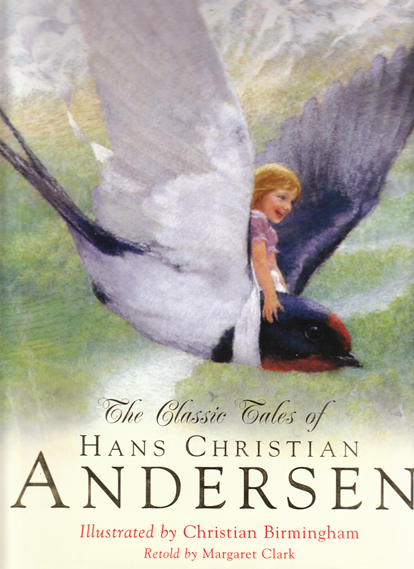 Description: "Discover the wonder, whet wit and the romance of Hans Christian Andersen's world in this exquisite collection of his best-known fairy tales. Faithful in detail and spirit to the original stories, these eight lively retellings are perfect for sharing with even the youngest child." Stunningly illustrated with colour and b&w drawings – many of which are full-page. Glazed pictorial boards repeat jacket design. Apart from a negligible bump to one corner, the book is effectively brand new. Unclipped (£14.99) jacket features gilded text to front. Minor scuffing along top, but otherwise complete and tear-free. A rare and beautiful book. Measures 33.5 cm × 25.5 cm (13.4″ × 10.2″). Folio. 56 pp.